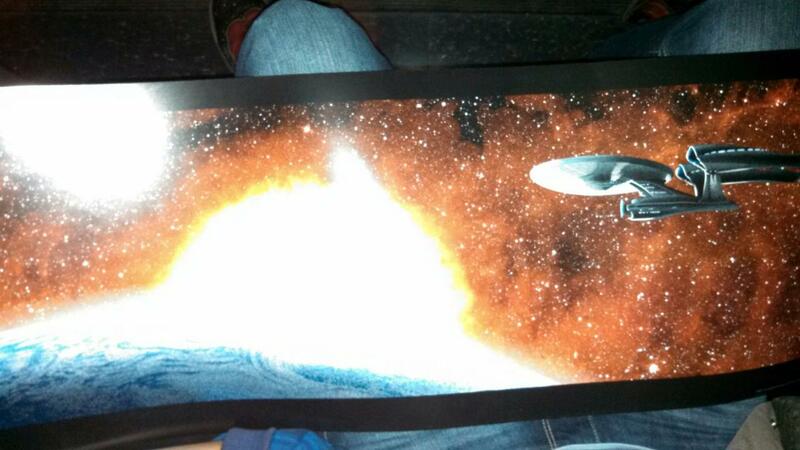 Star Trek: Into Darkness was… fun! The opening night theater was jam-packed with a perfect mix of 40-year-old Trekkies who’d resisted the temptation to dust off their Vulcan ear set, and 20-something nerds who pirated the entire Star Trek series the minute they heard the 2009 film was coming out. Half the film was one big shout-out to this geeky mix, with symbolic “winks” at the fanboy audience every few minutes and Wrath of Khan references bordering on parody. That’s not necessarily a complaint. It’s a fun good time when you laugh along with the other two thirds of the audience that gets the references. And J.J. Abrams did a great job of smoothing most of these geek-targeted moments into the film subtly enough that Trek virgins could laugh along as well. Add in some heavy-duty wallops, impossible acrobatics, and a handful of decent sized explosions… Fun for all! And who can complain about fun?! Well… Star Trek fans can. As mentioned in this overly-hopeful pre-premiere post, the Star Trek franchise was built with a long-view in mind. Exploration, imagination, story, daring commentary on the issues of the day. These are the elements that made Star Trek a long-lasting epic. Certainly a little cheekiness, and lots of beaming, warping, and phasers is what brought most fans to the original show in the first place. But it was the dynamic characters and the literally out-there, boundary-breaking stories that kept them, creating a multi-generational epic. With Into Darkness, Abrams and crew created an explosive and wildly entertaining homage to this epic legacy, but it lacked anything that will stay with you beyond the theater. 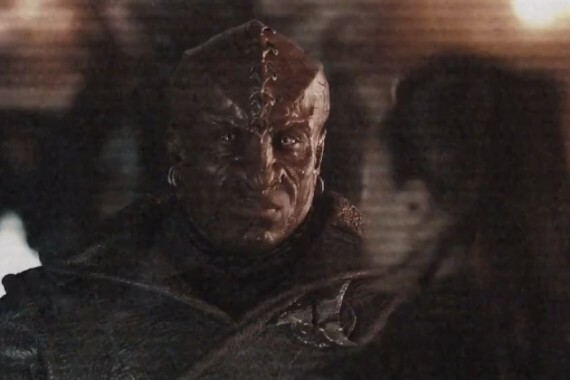 In the film’s opening we get a glimpse of the exploration mission of Starfleet – a frantic view of an encounter with a tribal culture and brief nod to the classic confrontation with the Prime Directive. Before long, things are exploding and emotions are high. Bones (Dr. Leonard McCoy) injects his requisite skepticism and quirky rebuffs to Spock‘s robotically delivered logic. Kirk and Spock firm and reaffirm their bro-love, and Uhura speaks Klingon. There are some original developments, like the Uhura and Spock romance introduced in the 2009 film, but despite the opportunities for originality in this alternate timeline, the film weighed too heavily on nods and winks to the franchise legacy, rather than developing an original story or letting the character’s develop beyond the stock phrases and punchlines of their future selves. The film itself was sort of a punchline. That said, it was wonderfully shot. The 3D was perfect for this film, especially the warp scenes. Benedict Cumberbatch was a magnificent and nuanced Khan. The musical score was riveting, and if the movie is a punchline then Simon Pegg as Scotty was the one holding the mic. It’s like telling someone about that great night you had out drinking with a witty group of friends – it was a really good time…yea…that’s it, just super fun! …So, how was your night? Benedict Cumberbatch living up to the riotous love of his international fan cult. Previous Previous post: Newer Frontiers: Will The Star Trek Reboot Live Up to Its Social-Frontier-Breaking Legacy?